This is the perfect accent for any carnival themed event! whether you use it as a concession area, carnival game booth, ticket booth, or whatever you may think of. 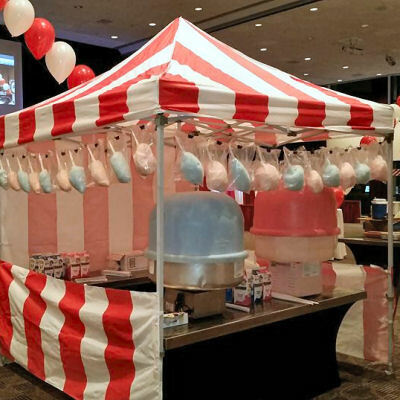 Your guests will be dazzled with this authentic Carnival Style pop up tent!